What is a nwp file and how do I open a nwp file? The file extension NWP is known as Magnetic Wallpaper File which was developed by IncrediMail. It is a file format associated with Wallpaper or desktop background used by Magnetic, a free screensaver and desktop background program. It contains wallpaper images are included with the program and may also be downloaded from the Internet. Some NWP files are installed with the Magnetic program and others are available for download from IncrediMail's website. Files in NWP format can be opened with IncrediMail Magnetic in Microsoft Windows platforms. To install Magnetic by IncrediMail, Download the file from Magnetic.com and save the executable installation package to your desktop. Double-click on the "magnetic_install.exe" file to start the installation. Click "I Agree" to agree to the Terms and Conditions. Click "Next." The Magnetic program is installed to the computer. 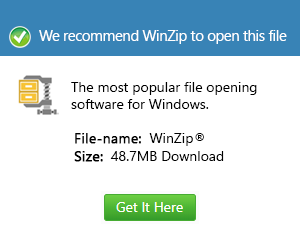 Click "Finish" to complete the installation and close the installer. The installation package is provided in an executable (.exe) file.